9 birders joined EOB in a search for Black-backed Woodpeckers and Red Crossbills in Central Frontenac. It was an absolutely gorgeous winter’s day, with beaming sunlight and a bluebird sky. This region is astounding in its rugged beauty and good winter birding! We hit all our targets, enjoying views of a female Black-backed Woodpecker and great views of Red Crossbills. 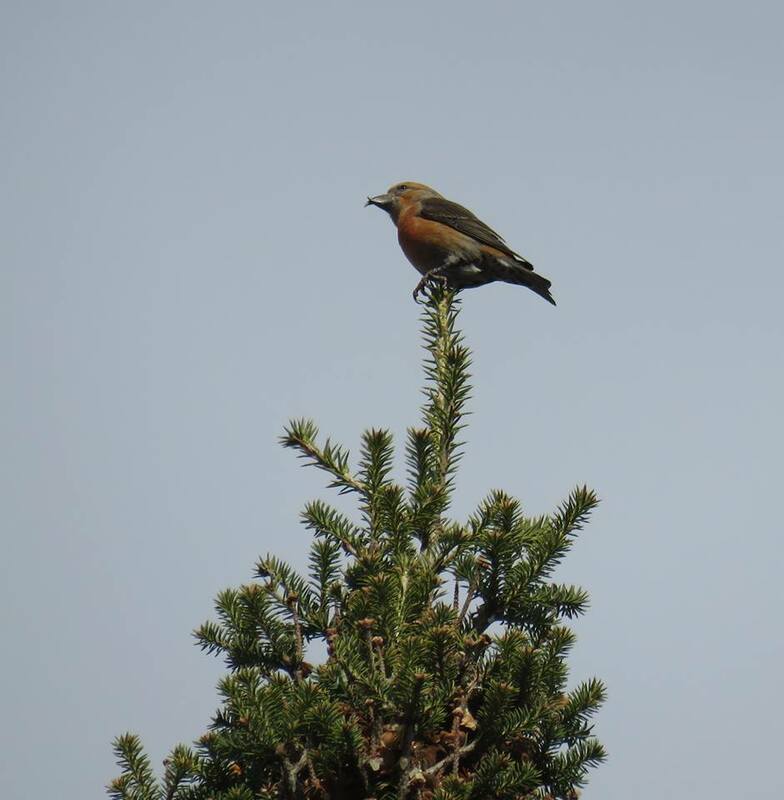 The big surprise of the day was the three White-winged Crossbills that landed on the tip of a spruce close to where we were standing; the male was in song! I was able to record the calls of some of the Red Crossbills we encountered, and I sent them to Matt Young of the Cornell Lab of Ornithology for comment. Matt analyzed the flight signature of the call and emailed “these are Type 1, or, “Appalachian” Red Crossbills.” How neat! So far this winter, two Types of Red Crossbill have been recorded in the area; Type 10, or, “Sitka Spruce” and of course the previously mentioned Type 1’s. This is a superb winter for Red Crossbills in Central Frontenac! We finished our tour off with a delicious meal at The Old Mill at Ashton. Mmmm mmm. Photo: “Appalachian” Red Crossbill (Type 1). Robertsville Road, Central Frontenac, Ontario. 28 January 2018.